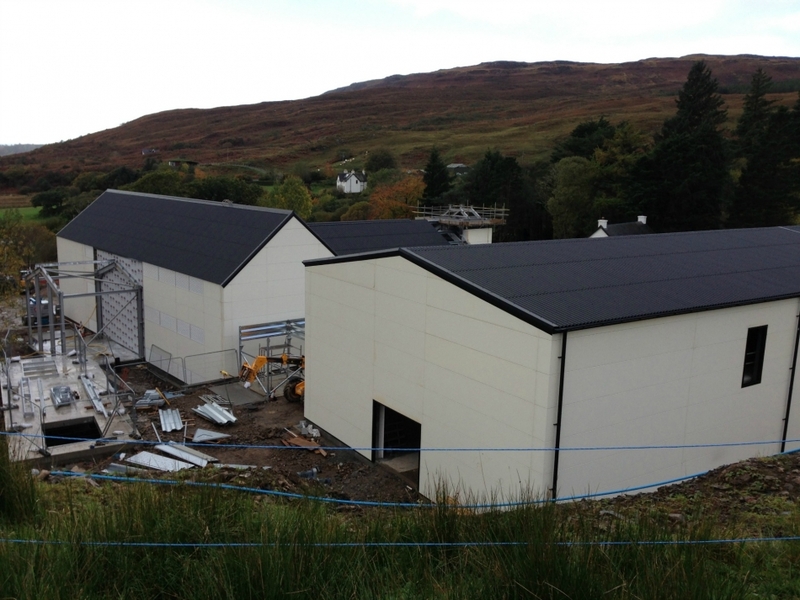 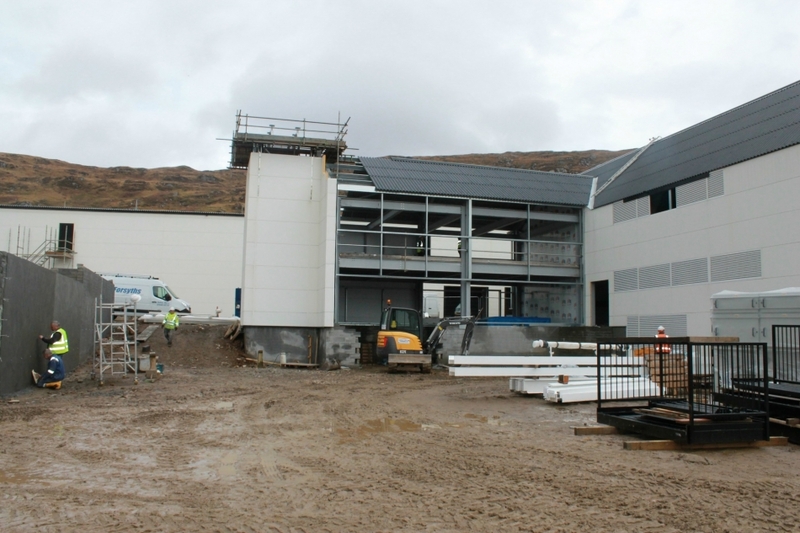 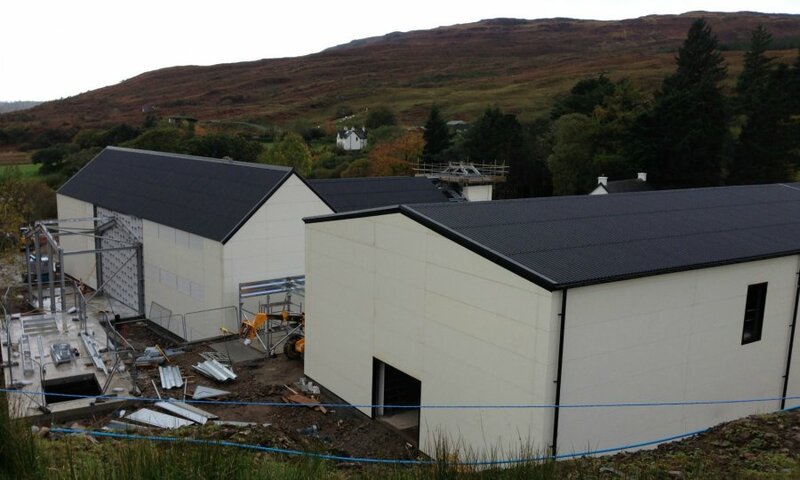 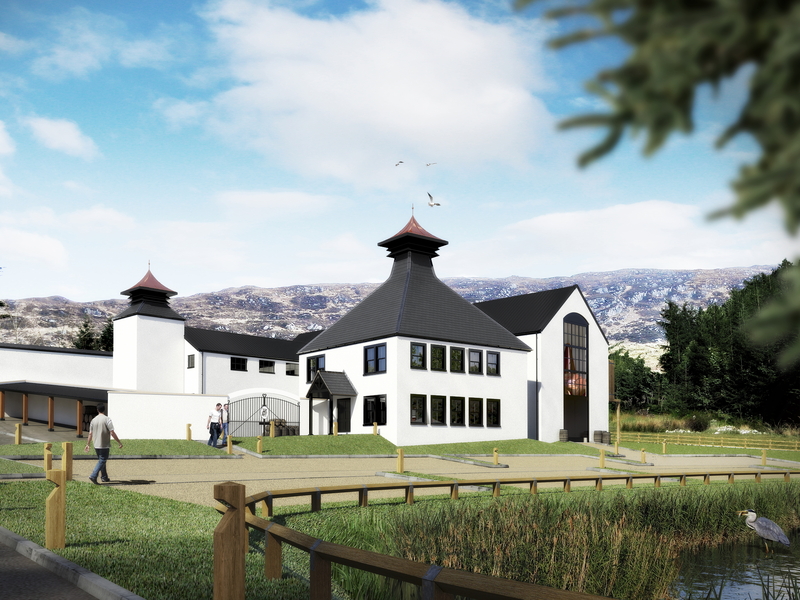 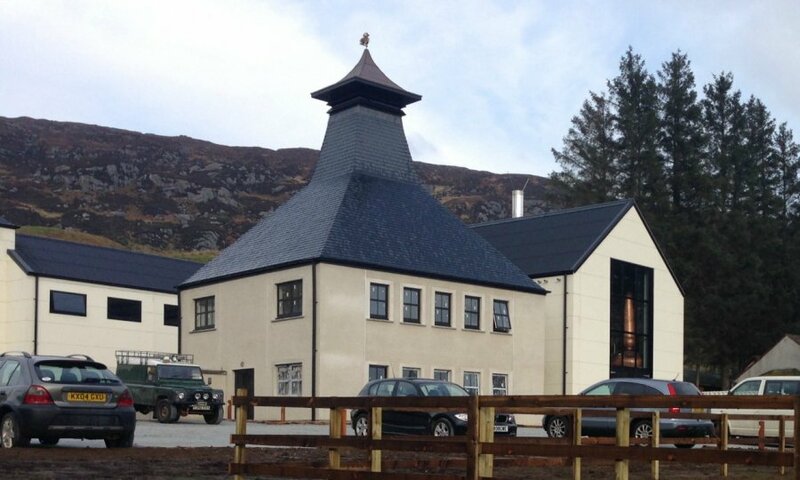 This new distillery complex consisted of a, whiskey production building, visitor centre and maturation warehouse. 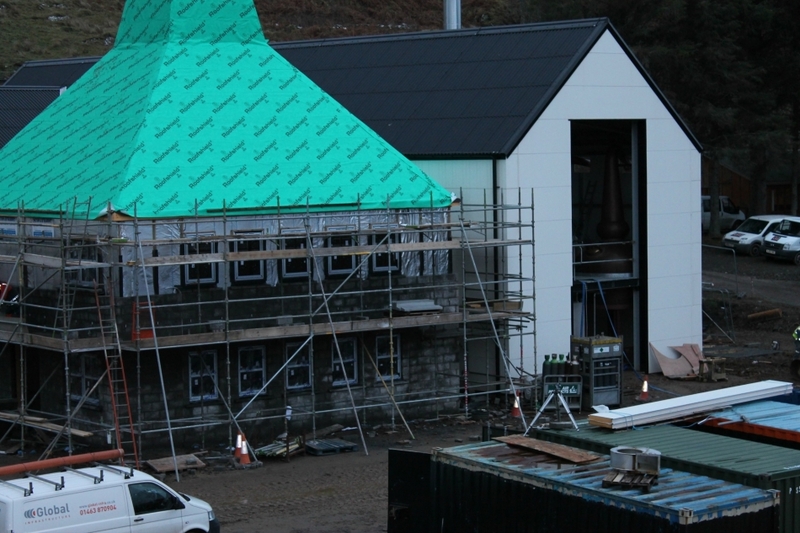 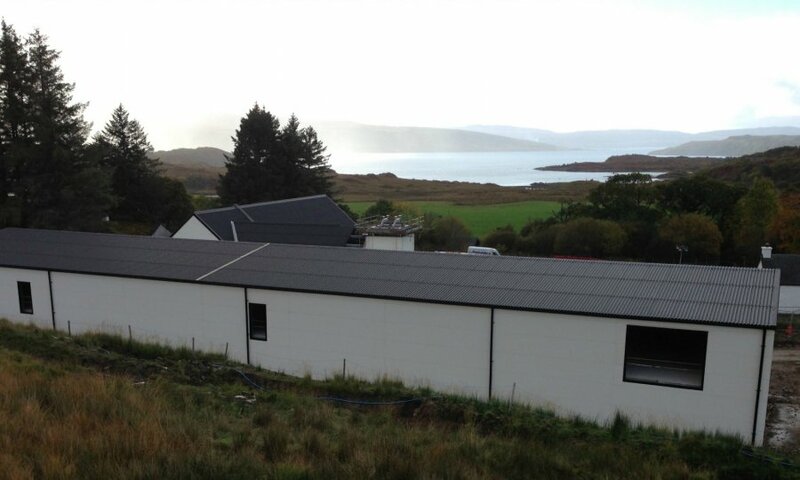 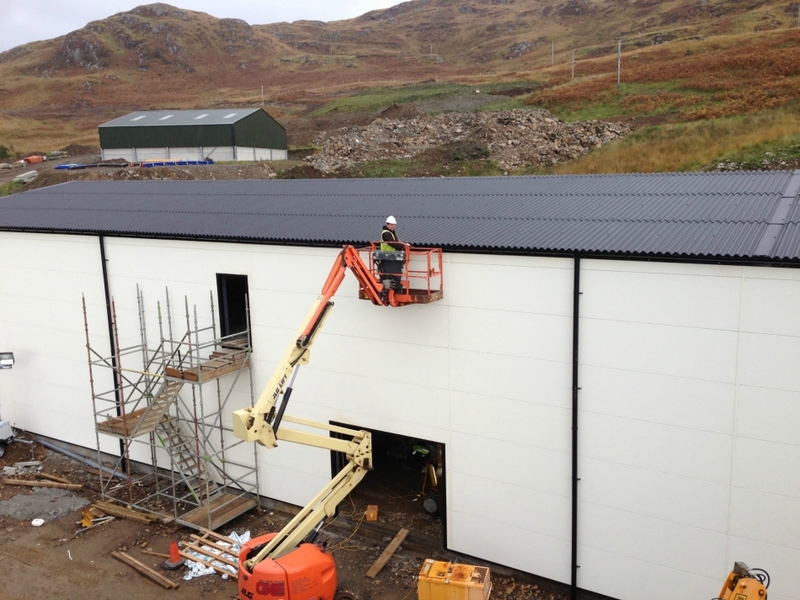 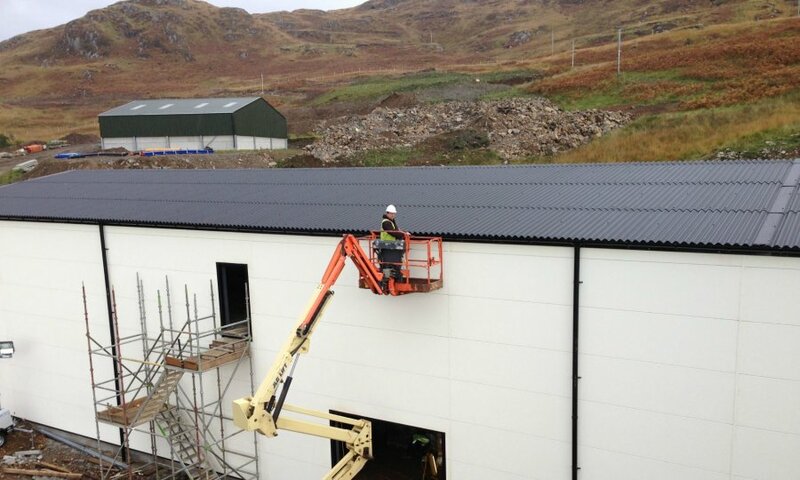 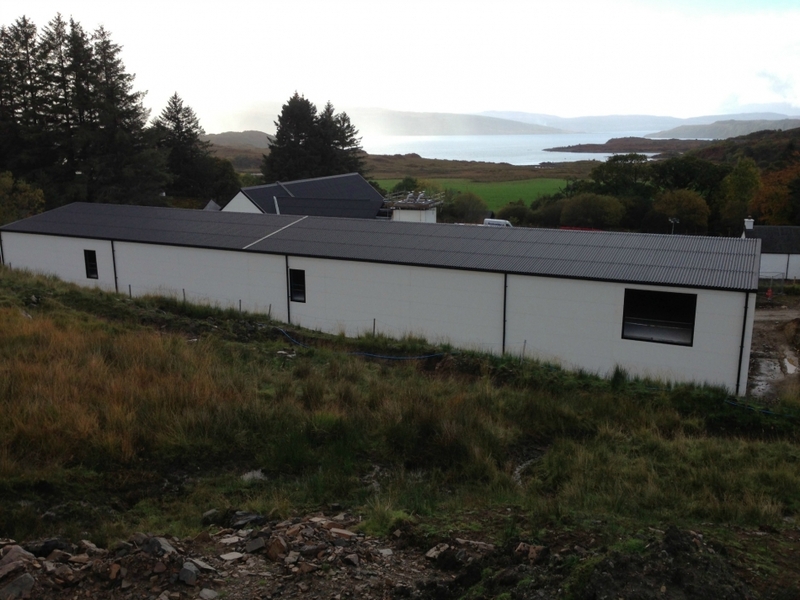 Due to a particularly tight programme set by the client to ensure the buildings would be ready for the internal finishes the buildings were clad with a composite cladding panel complete with the external render already applied, thus eliminating the need for any traditional builder work to the external skin of the buildings. 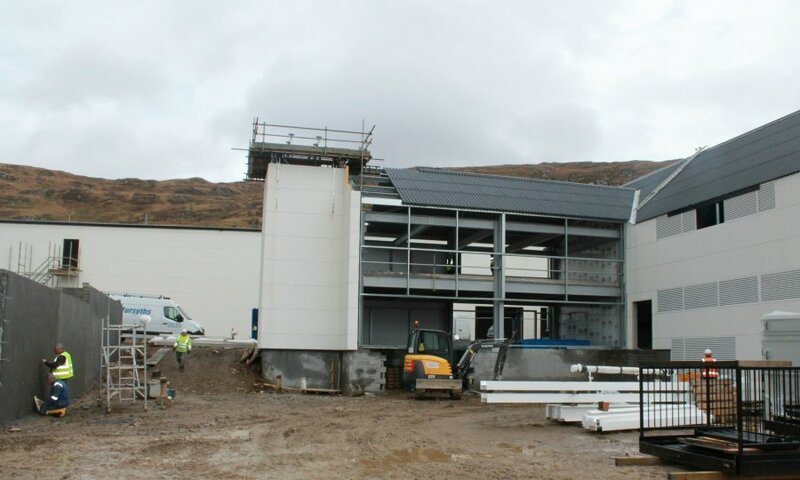 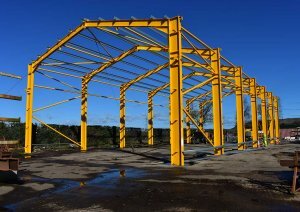 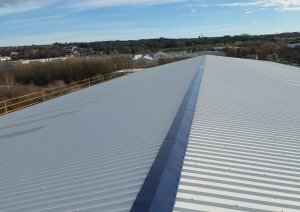 All internal and external steel staircases, walkways , mezzanines floors, external access bridges were supplied and fitted as part of Glendales contract. 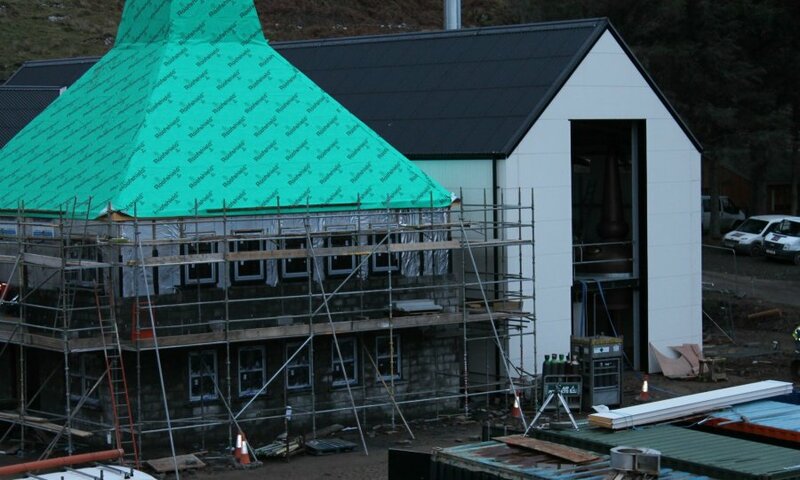 Due to the success of this project we have subsequently completed various projects on the peninsula including a conservatory at Kilchoan House Hotel, a viewing platform and access stairs at Mingarry Castle with future projects at Glenborrodale Castle.